Welcome back to another post in the For The Love Of series. Pinterest provides stats on the amount of times a project is pinned. 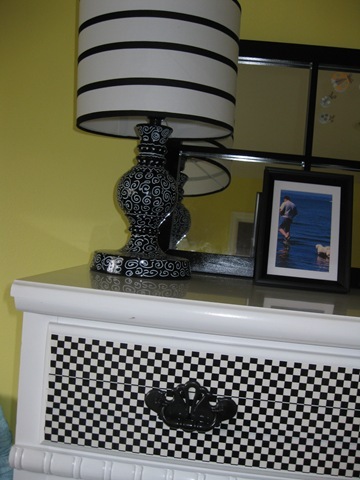 My dresser decorated with duct tape continues to be added to pinner boards. 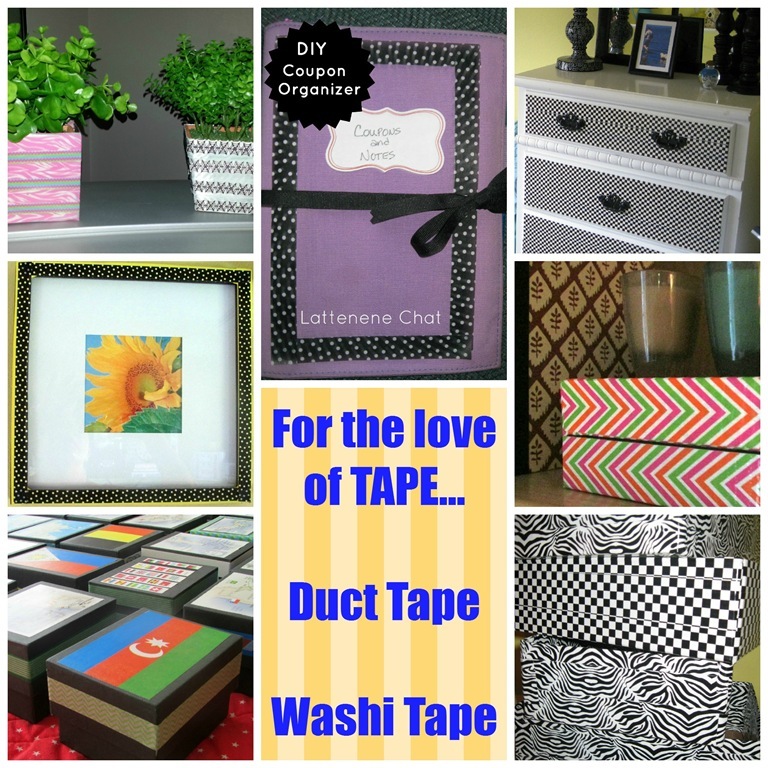 This led me to think it would be fun to do a For The Love Of on tape, all kinds of tape; duct, washi, ribbon. I found a couple of faux herb pots at Michaels on sale a few months back. 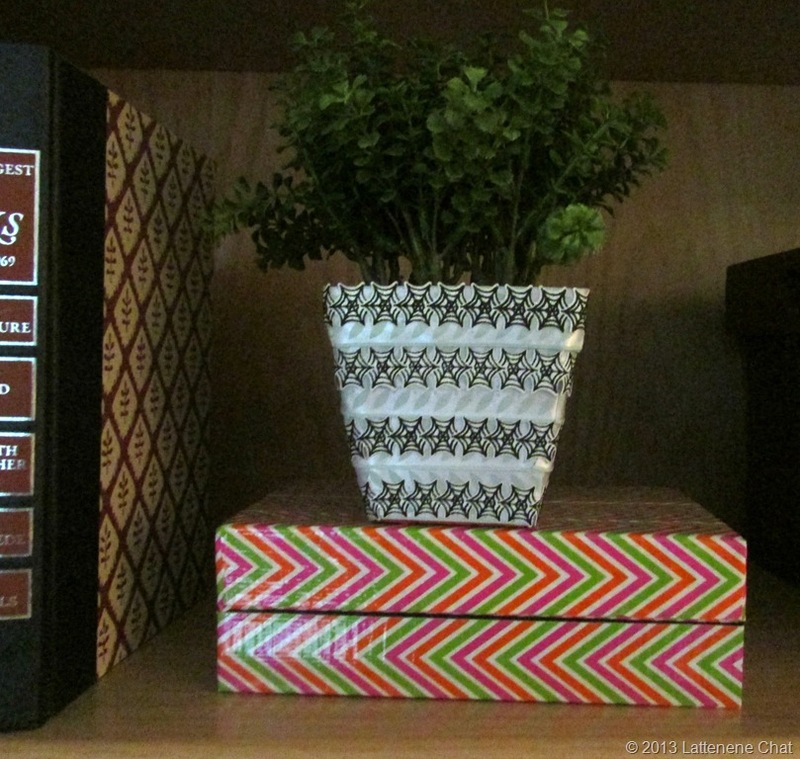 I used ribbon tape to decorate the pots and they now sit on my built-in bookshelf in my family room. 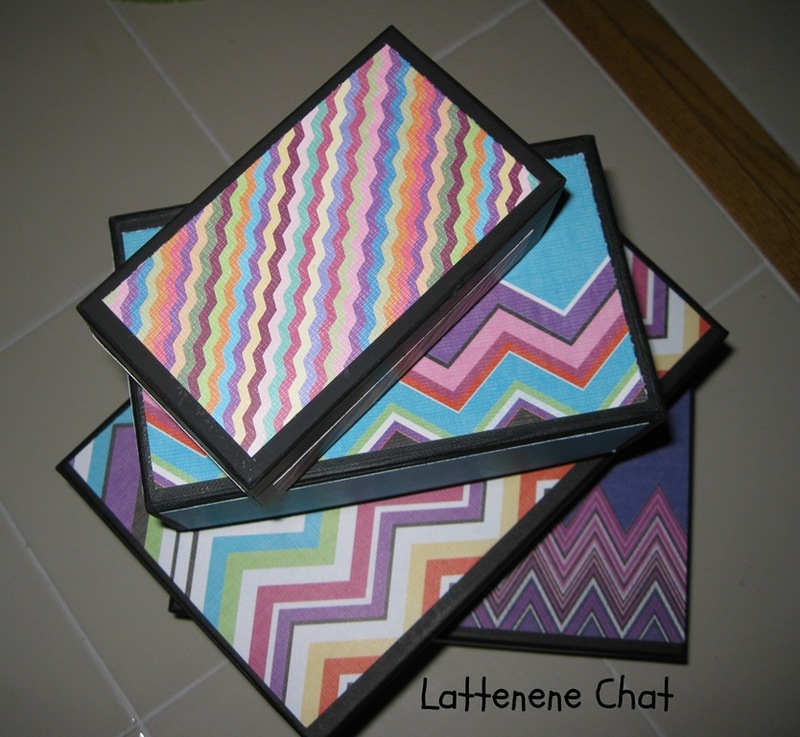 To add a bit of trim to my coupon holder I added some black and white polka dot washi tape. 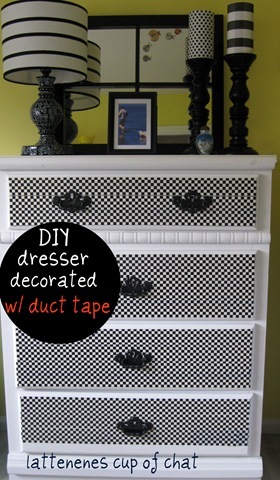 My most popular post ever is using duct tape to cover the drawers of a white laminate dresser. It now totally rocks in black and white check duct tape. Black and white polka dot washi tape also added some cuteness to some blah black picture frames to make polka dot frames. I used pink and green chevron duct tape to cover a mobile phone box. Love the colors and pattern. 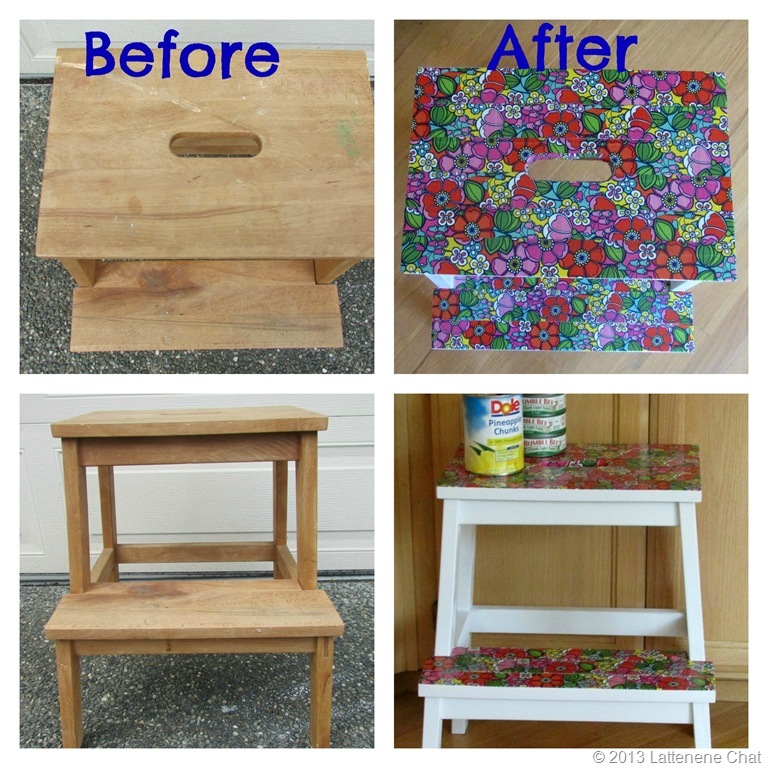 Another take on recycling old boxes. This time I created a sea of maps for a work event using old maps and washi tape. 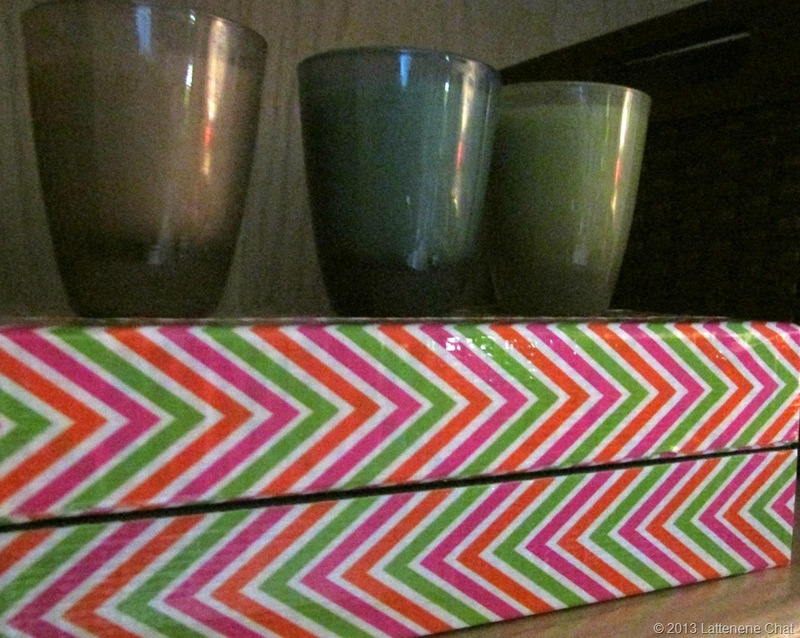 Last, but not least, cover cardboard box lids with with fun duct tape and they become decorative file trays file trays. 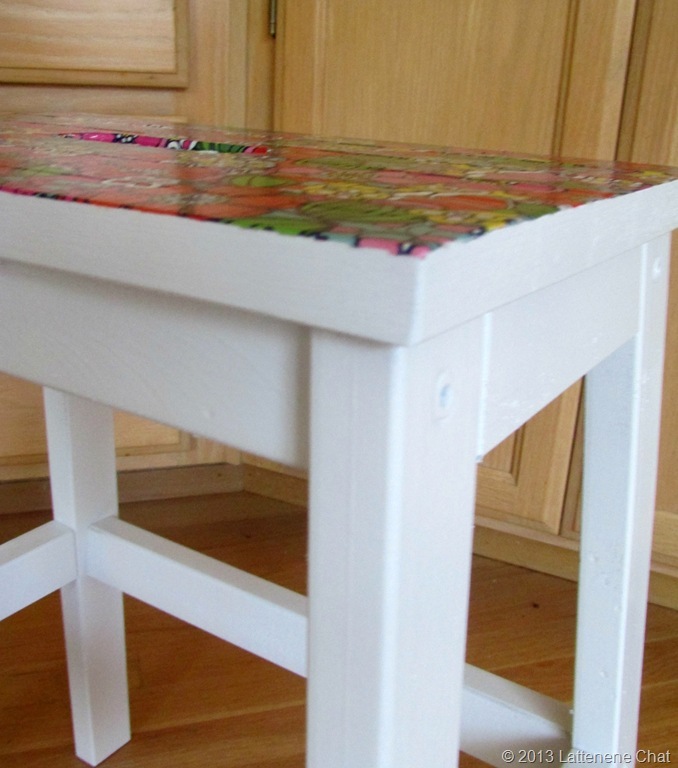 Do you use duct tape or washi tape for your creations? Happy Friday to you and have a great weekend! I’m slowly but surely getting the woman cave organized to my liking. I’m always in there reading, crafting, puttering. My husband says pretty soon he may never see me. I told him not to worry, food and drink were downstairs. 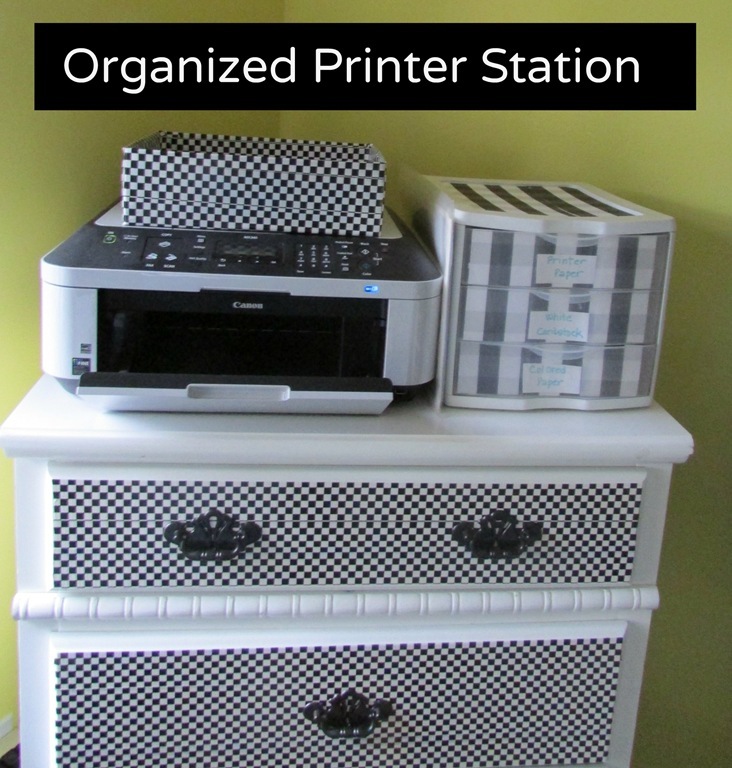 I have loved black and white combinations all my life so it’s not a surprise to me how my printer station turned out. 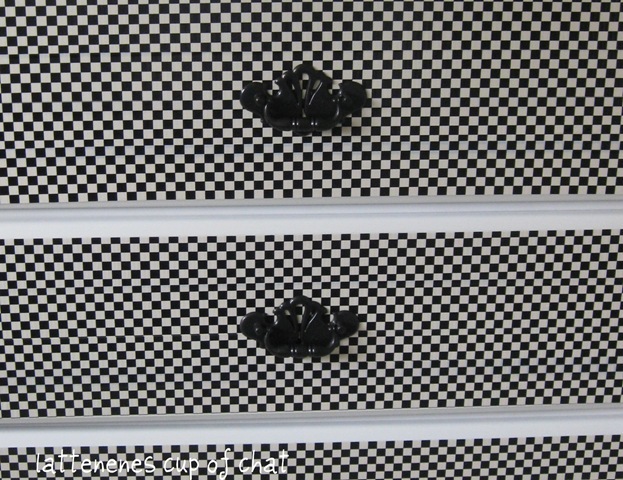 I moved my white dresser decorated with duct tape diagonally into the far corner of the room. 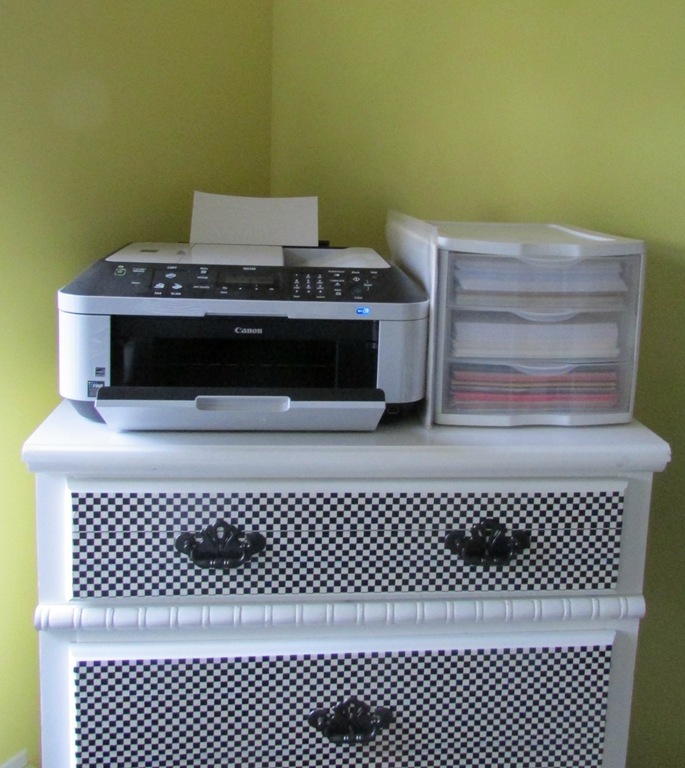 It’s the perfect place for my wireless printer, file tray, a.k.a. 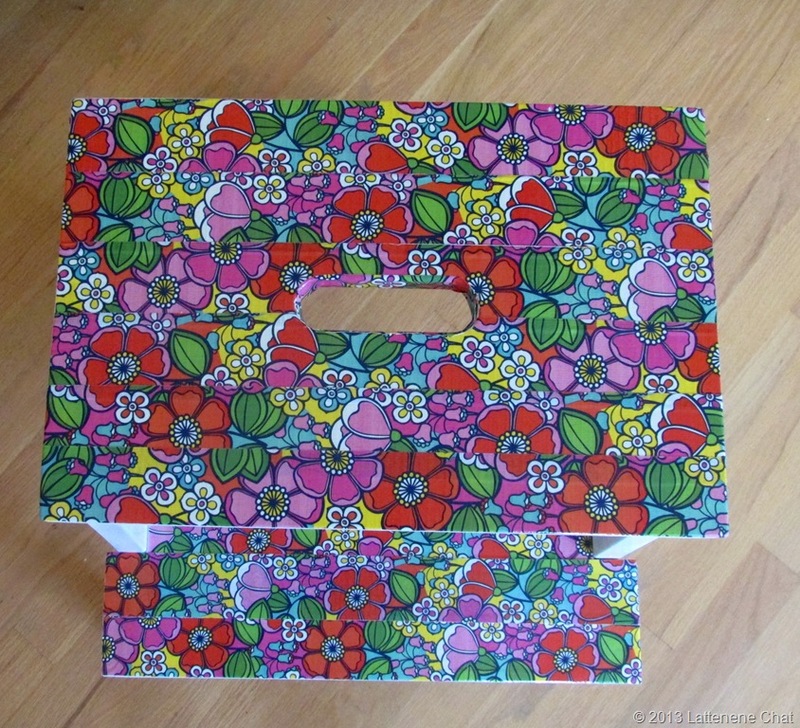 cardboard box lid covered with duct tape, and my 3 drawer Rubbermaid tote to hold printer paper. This was just a plain container I had stored in the garage. 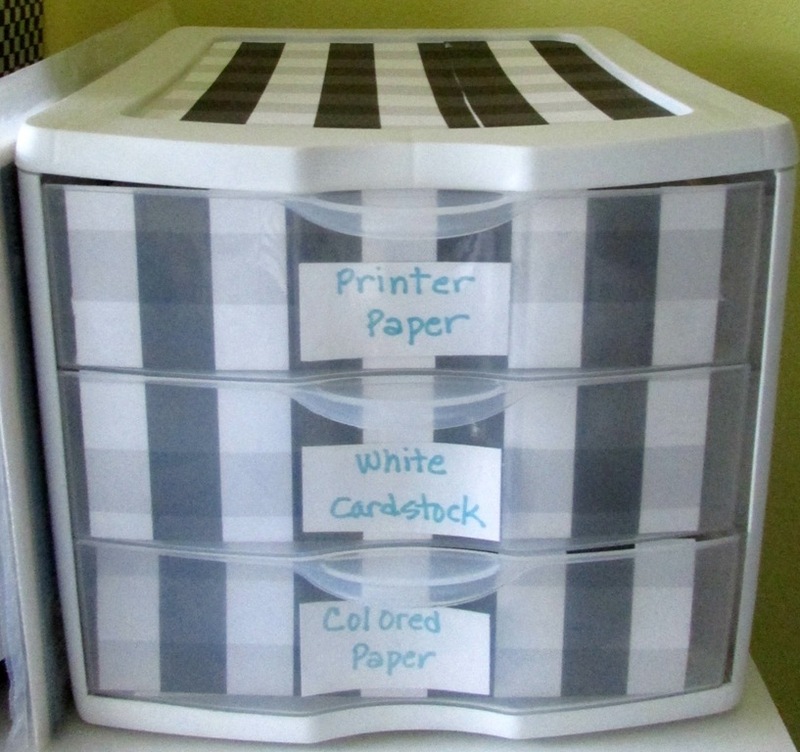 I already had the black and white scrapbook paper and it was perfect match to the rest of the printer station. 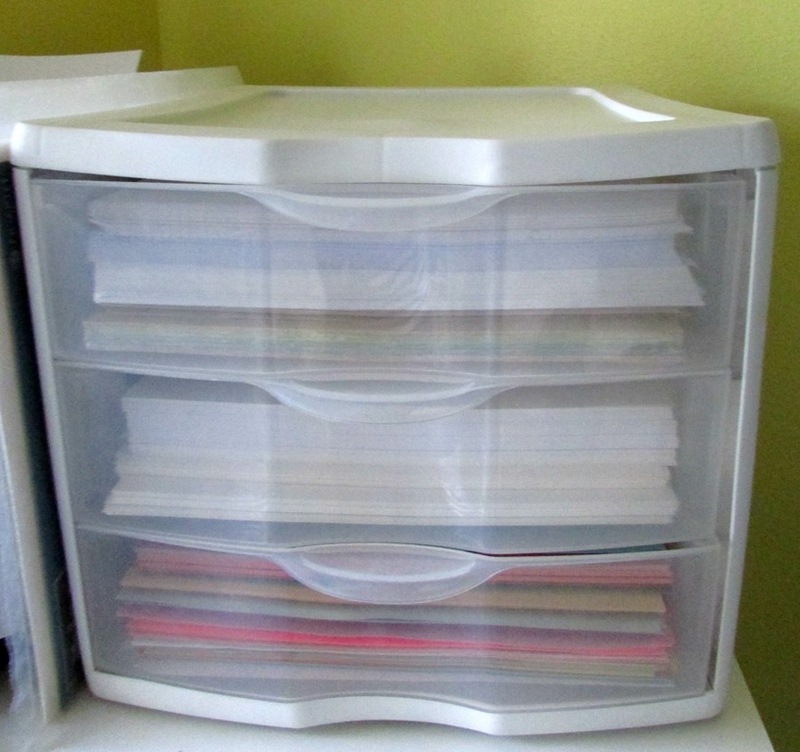 I simply cut to size to fit the front, added some hand printed labels, and slipped them inside the drawers. 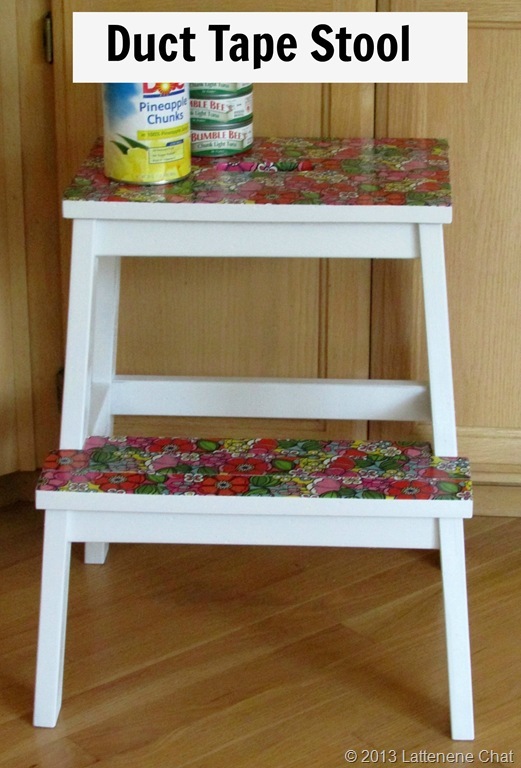 I also added a sheet to the top. The great thing is there wasn’t any cost to do this. I had everything and it took less then 10 minutes to do. Have any quick updates you’ve done lately? Over the past several months I’ve been taking one drawer at a time, one room at a time, and cleaning it out. I came across an empty cell phone box from my Galaxy 3 purchase. 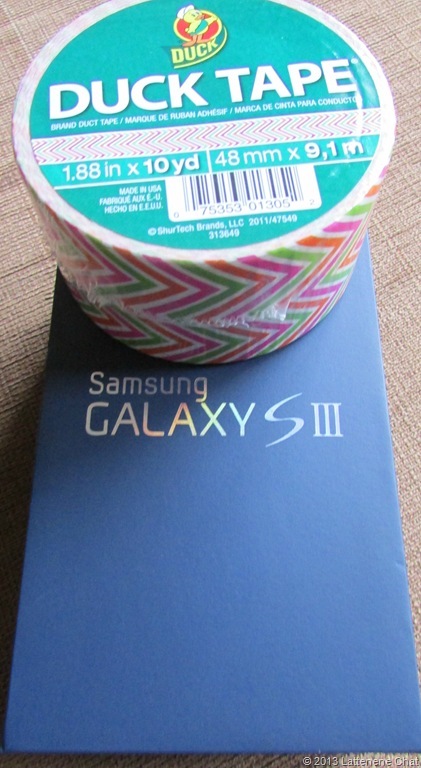 Since I had just bought some bright spring colored chevron style Duct Tape, my little brain said hmmm. So I grabbed a pair of scissors, turned on The Voice and mindlessly and in just a couple of minutes did this. I love the color combo of pink, orange and green. I literally just opened the tape and started at one end of the box, stopped at the other end. Overlap your lines just a tiny bit. Use an exacta knife to trim edges for a clean cut. 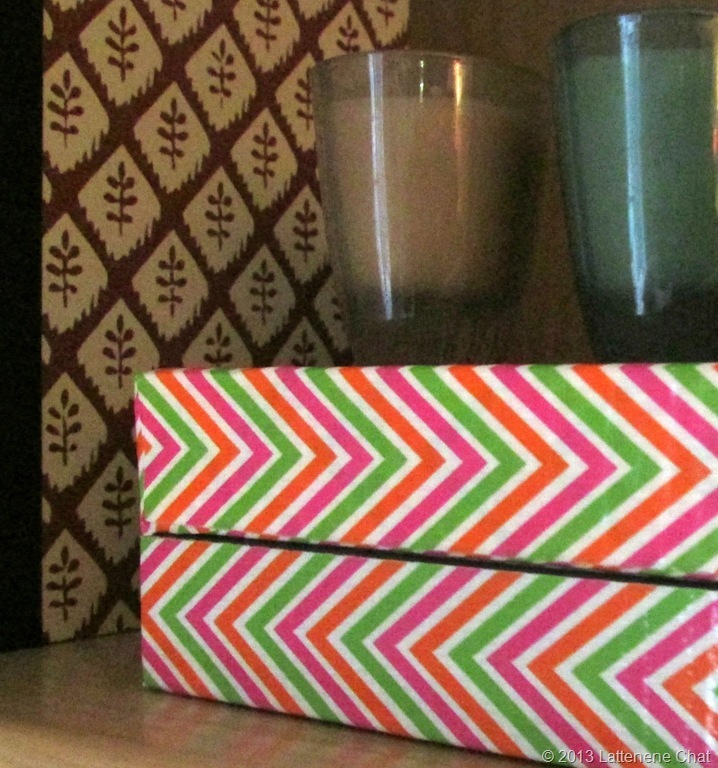 The plant container sitting on the box is from a ribbon tape project I did. Do you remember my other cell phone boxes update? Check out instructions for these here. Next time your getting ready to toss a box to the recycle, will you say hmm? 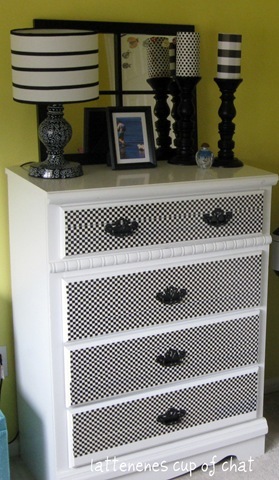 White Dresser Updated with DUCT TAPE! Happy Monday! How was your weekend? The sun was out in Seattle and that meant a few nice walks and some much needed yard work. It was so nice to open the windows and have some fresh air come in. I also got on a spray paint kick and put out some Easter decorations. I’ll be sharing more later this week. Saturday morning I was picking up my woman “cave” or to be more exact, the room I call my craft/reading/office/guest room. The room became this last September and was pretty much done on the buy little, by cheap and use what you got kind of room. I abide by this theory a lot because I know me. Lots of folks live in an undecorated area for a while to get the vibe of the room and to understand how to furnish, paint, etc. it. Me, I find I guess at what I want, try it for a while and then end up changing it after I live with it. If you want to read about the initial redo of the room check Here. Since then, I have moved the furniture around, added shelves, changed the location of pictures, repainted a few things and on Saturday, gave the white dresser a new look. 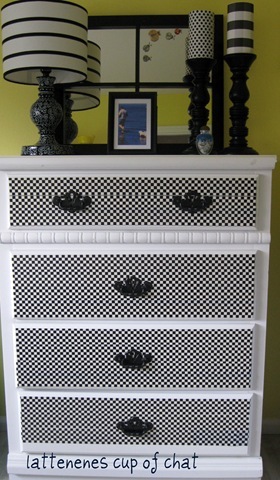 I have been wanting to paint the dresser, but I wasn’t sure what direction I wanted to go. Back when I painted the fireplace wall black I first put up black scrapbook paper to see what it would look like. See what I mean that I need to live with it to feel it? 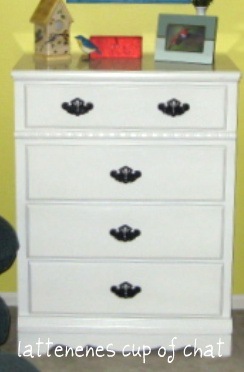 Okay, back to the white dresser. 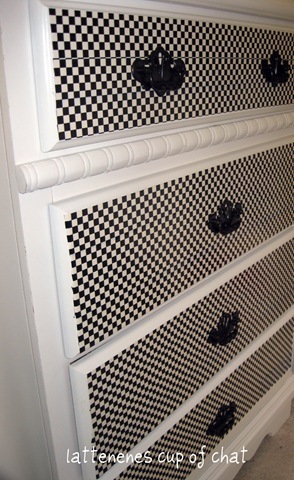 I took decorative duct tape and applied it to the front of the white dresser drawers. 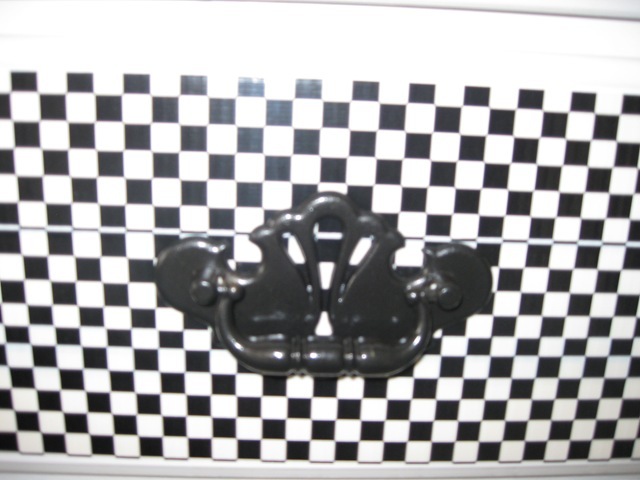 I took the drawer handles off and applied the duct tape strip by strip. Then I poked the through the tape to open the whole and put the pulls back on. A 30 minute project. That’s it and I like it! Here’s a before and after. Duct Tape…who would of thunk it?